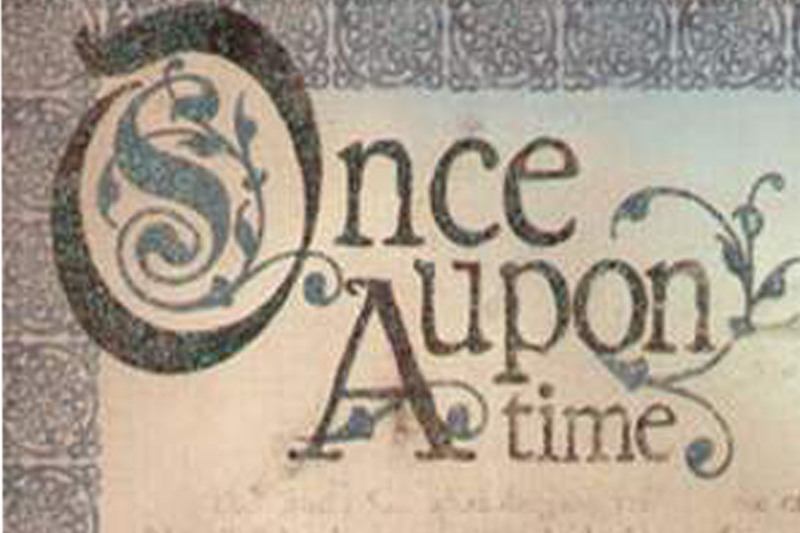 After writing a blog last week on what makes a good ending to a story, and then following that up with another post on being frustrated with the middles of some books, I thought I might as well round it off by writing about the beginnings of stories. We all have been told the same thing over and over through school (and for some people, university) about how to write the beginning of a story – it has to be catchy, something that hooks the reader and reels them in straight away. In the history of literature this is still a relatively new approach, but it definitely is important, although, to be honest, it is also a little obvious. It was one of my favourite university lecturers and tutors who told me about Russian physician and writer Anton Chekhov’s approach to writing the start of a story, and it is this approach which has always stuck with me. 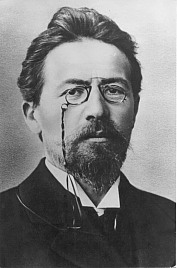 Essentially, Chekhov believed that when you finish writing the first draft, whether it be a short story, novel, or anything in between, you should take the first third of the story, quite literally tear it from the rest (or delete it), and write that third again. Why? Because he believed that even with the most detailed planning, you don’t really feel the story, get into the mood, atmosphere and style, until you are a third of the way into the writing, by which point these aspects are firmly established and remain appropriate and fitting for the rest of the story. So by going back afterwards and rewriting the first third, it should help the story to flow better. Of course, this may seem a little extreme, and I am not advising to adhere to this rule precisely nor am I confessing I myself work accordingly. But I do agree with the general gist of what Chekhov was trying to say – even the stories I have planned, I have found only really take shape once I am a considerable way into the story. For me personally, I tend to rewrite the whole story once the first draft is finished, but I know this is extreme and I am just very strange. But it is definitely worth at least considering Chekhov’s point of view, especially when you next edit or rewrite a story. What do you think? Do you agree with Chekhov’s approach to writing and editing the beginning of a story, or do you think it’s too extreme? How do you write/rewrite the beginning of your stories? This entry was posted in Books, Writing and tagged Anton Chekhov, beginnings, Books, Chekhov, In the beginning, writing. Bookmark the permalink. I usually find my beginning to be the most polished because I’ve revised it so many times before I move forward. The ending is the hardest part for me, to be able to wrap it all up in a neat little package. I do, however, understand the idea and agree with the thinking of tossing the first 1/3. Many times with novels we discover the beginning of the story really begins on page 40, not page 1. We just have to realize our beginnings are not written in stone and they are subject to change for the betterment of the story. Ahh, how interesting! I guess my beginnings are usually the worst part for me, because I know I’m going to scrap them, so I write the whole story out and then go back and trash the beginning. But polishing it before moving forward is probably a pretty good idea too! I should be more patient with my writing…I find my endings are usually easy, but it’s getting to the endings that is tricky, wrapping it all up as you say. But normally the last few thousand words of any story I do write will happen in a single sitting, normally writing at an almost fevered pace. Ahhh. It is always tricky when you show your writing to others I think. For me, I only show my writing when it’s the very first draft of a story…once I start editing it, it’s for my eyes only normally, because that’s when I guess I take more pride in it, and shape it into something much better. I mean one day I will show more edited writing, but for now I am still honing my skills in that area I suppose. Anyway I digress. It could possibly be part of the reason why…maybe try finishing the story, going back and rewriting the first part of the story, and then submit it to your online crit group, and see if it gets a different response? Its an interesting thought and I had heard it before but to be honest had never considered doing it with my own stuff. I actually don’t think it’d work for me because of my writing habits but I do have to say that as I move along in life I am less and less patient with books that don’t grip me. At one time I would slog on and on but now I have come around to the thought that if I am not swallowed up from early on then it’s not my fault (although it could just be down to poor timing and mood). I might give it a go though just to see what happens. I know what you mean – I find I am the same as well, and if a book doesn’t grab me early on I do lose patience. But sometimes I have reattempted a book and been taken by it the second time, so as you say sometimes it’s about timing and mood. I think Chekhov’s approach to story beginnings is definitely something which only suits some writers – I suppose writing methods have changed a lot in the last century or so since he wrote, too.